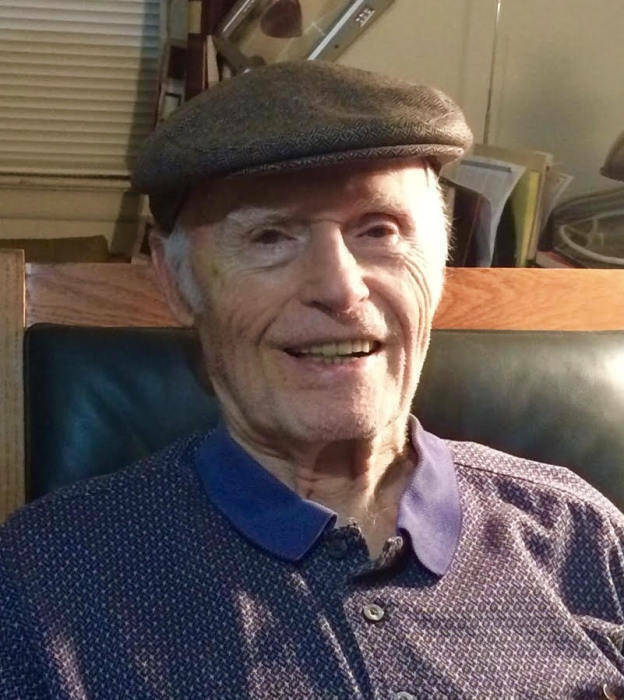 Thomas P. Racek, 91, passed away peacefully on February 22, 2019. Thomas was born in 1927 in Yonkers, New York, the son of Thomas and Margaret Racek (Moynihan). He was a graduate of Roosevelt High School in Yonkers, then attended Manhattan College, receiving a Bachelor of Arts degree in Accounting. He later earned a Masters Degree in Business Administration from New York University. He had a long and successful business career and held a number of senior level corporate executive positions, which took him from New York to New Jersey, and eventually Pittsburgh, Pennsylvania. In high school Thomas was a talented athlete in both football and baseball. He later played semi-pro football with the Yonkers Condors. He also served in the U.S. Army towards the end of World War II, earning the rank of Staff Sergeant. Thomas was husband of the late Millie Durniak Racek, as well as the late Mary S. Racek. He is survived by siblings Timothy, Denise, Janice, Sarah and Andrew as well as his children with wife Millie: Joan Dunne, (James), Susan Cronk, (Albert), Andrew, (Mary), John, (Koki), Jill, (deceased), Claire and David, as well as grandchildren Jeffrey, (Victoria), Brian, Stephanie, (Wayne), Aaron, Luke, Jamie, Jessica, Jack and Thomas. In addition, Thomas had two great grandchildren Kason and Jeffrey. Influenced by his mother’s value of education, Thomas excelled in school. In addition to his academic and athletic accomplishments, he was always open to challenging himself to broaden his horizons. Backed by his political party in Yonkers, as a young man he ran a spirited campaign for seat on city council. He also enjoyed new pursuits such as learning to play the guitar, writing books of fiction, and mastering the computer. He worked well into his 80’s obtaining an Enrolled Agent designation to handle complex tax issues for clients. Although quiet and unassuming, he was quick with a joke and had a bit of a storyteller in him. He described the early years with his children as his favorite time of life, and was most proud of his family. Special acknowledgement to Joan and Jim, as well as Diane for all of their tireless work to ensure Thomas’s last years were comfortable and secure. A private family memorial gathering will be planned. Interment will be at Homewood Cemetery in Pittsburgh, Pennsylvania, alongside the “love of his life”, his wife Millie. In lieu of flowers, memorial contributions can be made to the Alzheimer’s Association, an organization dedicated to battling dementia related conditions, at alz.org.